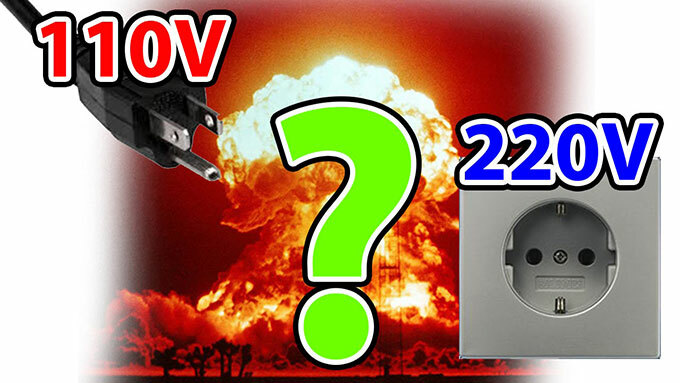 Home » Voltage Converter » How to Make a Step-up 110 volt to 220 volt Voltage Converter? For 110 volt to 220 volt voltage converter, how to calculate the copper wire turns of voltage converter primary and secondary winding, how to choose the size of silicon steel sheet, and how to calculate the diameter of copper wire? 1.05 in the calculation of the secondary coil turns is to the pressure drop considering load. Assume the output voltage is 110V and the output current is 2A. Turns ratio: Primary voltage/secondary voltageX1.05, which is 220V/secondary voltageX1.05. Determination of the number of primary circles: 40 to 50 divided by the core cross-sectional area (empirical formula), depending on the quality of the core is good or poor, good core can take 40, poorer core can take 50. Copper cross-sectional area: according to the current calculation, the general take 2.5A per square millimeter. The primary current of the voltage converter is the power/220V; the secondary current is the power/secondary voltage. 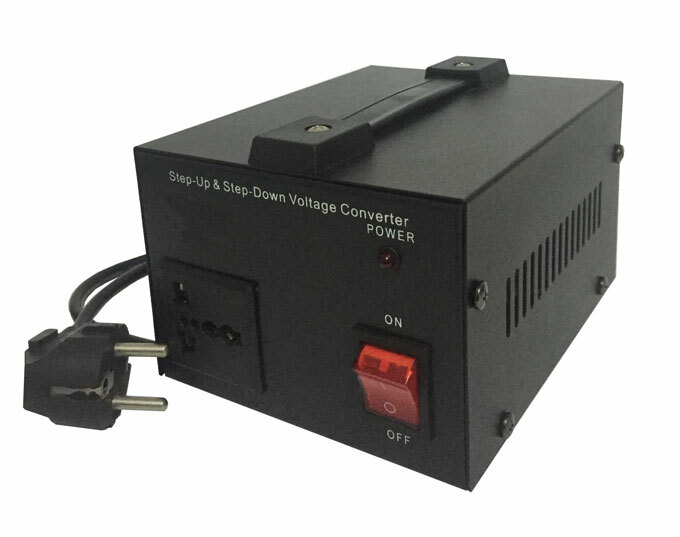 Step-up voltage converter working principle: Step-up voltage converter is to transform low AC voltage, high current, low impedance to high AC voltage, low current and high impedance devices. When the primary coil through the AC current, the iron core (or magnetic core) will produce AC magnetic flux, the secondary coil induces a voltage (or current). The input voltage must be alternating current source whose output voltage is proportional to the turns’ ratio of the output input coil. N=U1/U2=N1/N2, where n is called the voltage ratio (turns ratio). When n>1, then N1<N2, U1<U2, the voltage converter is a step-up voltage converter. In addition, the current ratio I1/I2=N2/N1 and electric power P1=P2. Note that the above equation is valid only when the ideal voltage converter has only one secondary coil. P1=P2+P3 and U1/N1=U2/N2=U3/N3 when there are two secondary coils. Seeking the current must be calculated using the electric power relationship, when there are a number of categories. Known core area is 3.5X3.2cm^2, the primary voltage 110V and secondary voltage 220V, seeking: Second turn and diameter, current. Silicon steel sheet is the voltage converter core cross-sectional area. Basically the other parameters of the voltage converter can be determined after the calculation. Finally, see whether your core window can put down the coil. Know the core cross-sectional area, each turn of the voltage et=BXS/450, et is the voltage for each turn, B is the magnetic density. If it is ordinary voltage converter silicon steel sheet, dry-type voltage converter, can take 15-16.5 kilogauss (First calculated with 16). S is the area=3.5X3.2cm^2, would have multiplied by the laminated coefficient of 0.96, ignored here. 450 is a constant when operating frequency is 50Hz, et=16X3.5X3.2/450=0.398V/turn. Seek the number of high and low voltage turns: the primary N1=110/0.398=276.39turns, take an integer of 277 turns; secondary N2=220/0.398=552.77turns, take an integer 553 turns. First give the output power of the voltage converter, such as 50W. Then the output current I2=50/220=0.23A, primary current I1=50/110=0.46A. Check the line gauge (ordinary enameled wire-circular cross-section), secondary diameter is 0.33mm, the primary diameter is 0.51mm. Then, the primary and secondary coils can be arranged. See the window area is whether enough, if not, reduce the power. 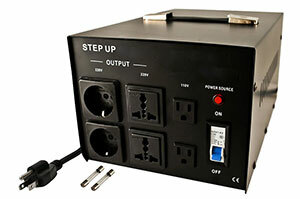 If there is surplus, you can increase the power of the voltage converter. As for the temperature rise calculation, as long as the control of electromagnetic density, temperature rise is generally not very high, estimated at 60-70℃. In order to make the voltage converter easy to use, you can increase 3%-5% of the primary turns, or reduce 1-2 turns of the primary turns.